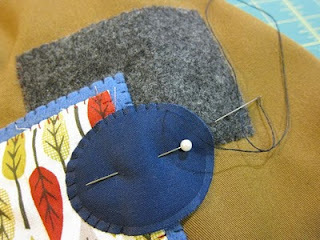 After I finished testing the Spellbinders machine and dies, I wanted to share a tutorial that would show off a practical, stylish way to incorporate a die cutting machine into a sewing project. 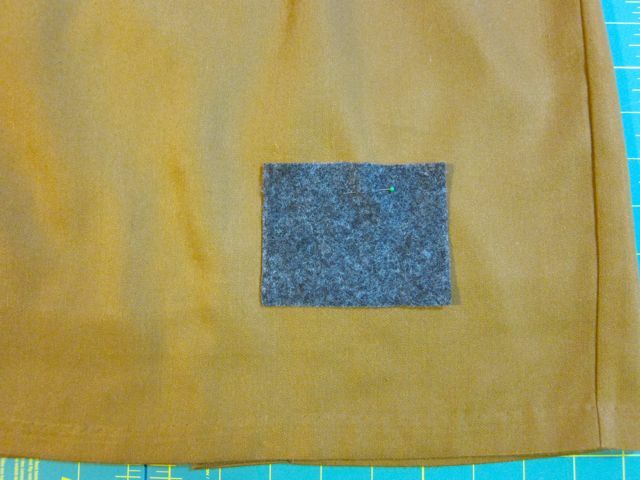 So, I cut out some basic shapes using the Spellbinders Nestabilities line, then layered them to create a mod-inspired applique to spice up one of my old pencil skirts. 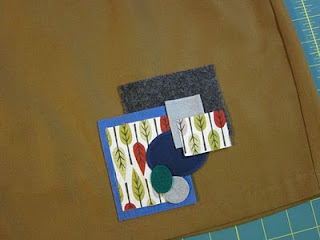 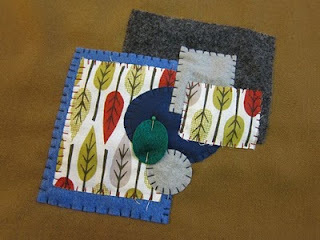 Below, I’ll show you the basic method for creating a layered applique using die cut fabric. 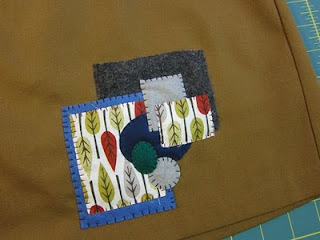 Don’t worry if you don’t have the same shapes—you can design your own applique using the dies that you already have on hand! 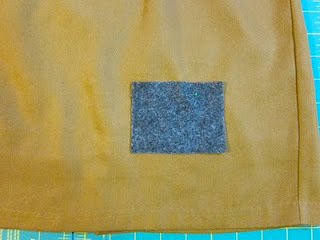 Once you’ve cut out your shapes, assemble them on your skirt in the way that you would like them to appear in the finished applique, then take a photo so you can refer to it as you assemble and sew. 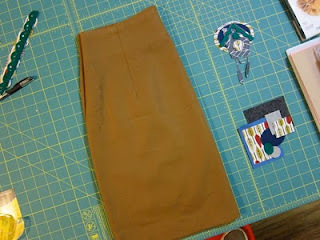 Place the very bottom piece of fabric on your skirt, then pin it in place. 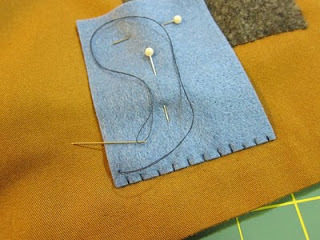 Using evenly spaced straight stitches, secure the applique in place. 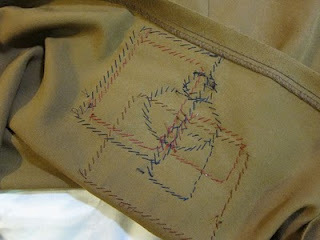 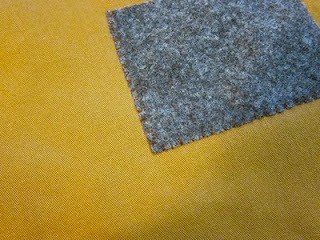 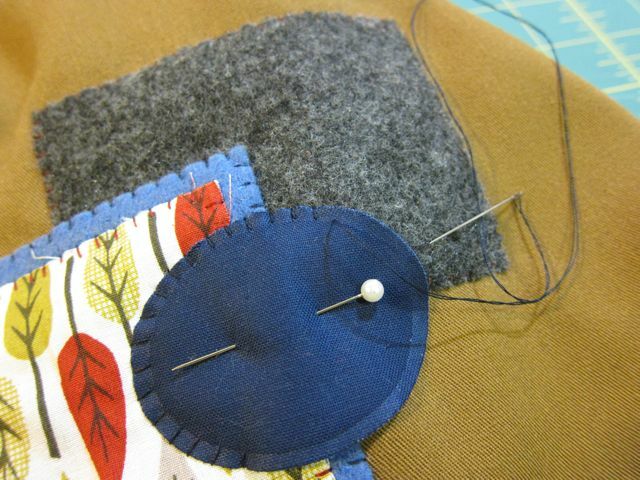  Position and pin the next level in place, then secure with a straight stitch. 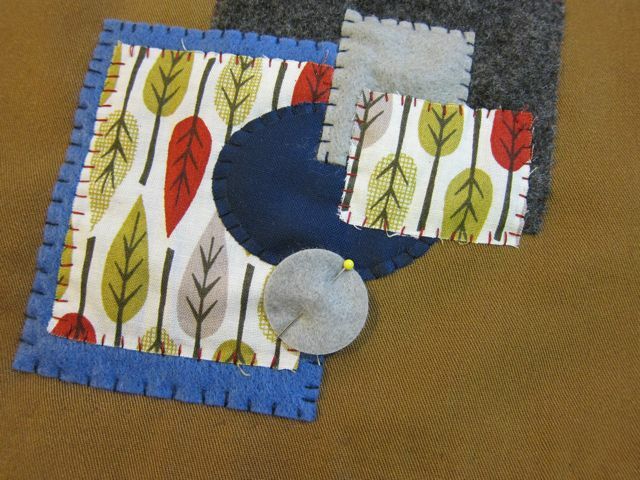 Continue layering pieces and stitching into place until you have secured all pieces. 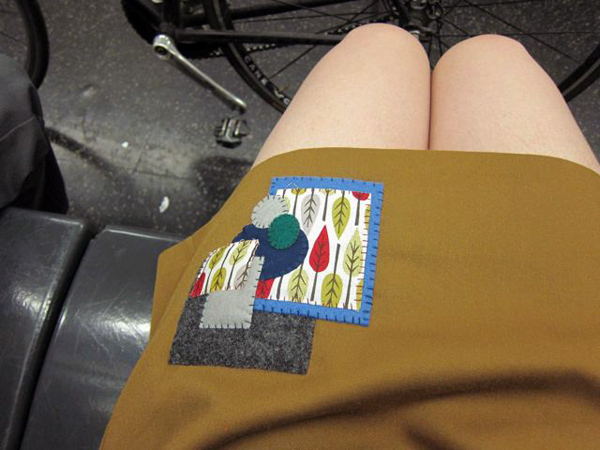 My skirt needs to be dry cleaned, so I’m not worried about the threads starting to fray a bit. 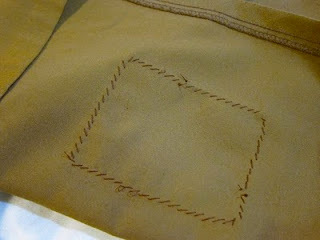 But, if you’ll be washing yours, you may want to carefully dab some Fray Check around the edges to seal them in place.